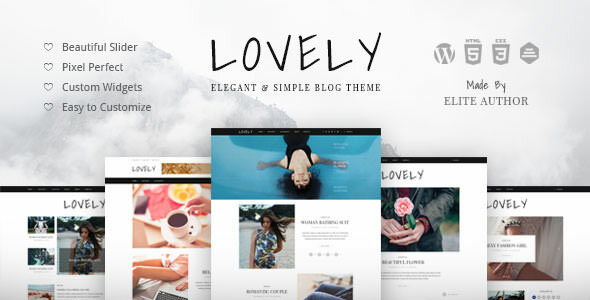 Lovely – Elegant & Simple Blog Theme is carefully designed & fashion focused premium blog theme. Easy to use Theme Option Panel and Metabox options will save your time and money. Each Homepage Layouts can be easily customize able.